I think I do this every year. I feel the need to... Today I remember my Grandmother, who we all called "Mutti". The full life she had continues to inspire me, and the unconditional love and support she showed me, as I grew up, keeps me full inside. She was at every piano recital, drove me to my dance or music lessons when my parents couldn't, and always reminded me of how beautiful or smart I was - even when I was too shy to hear it. 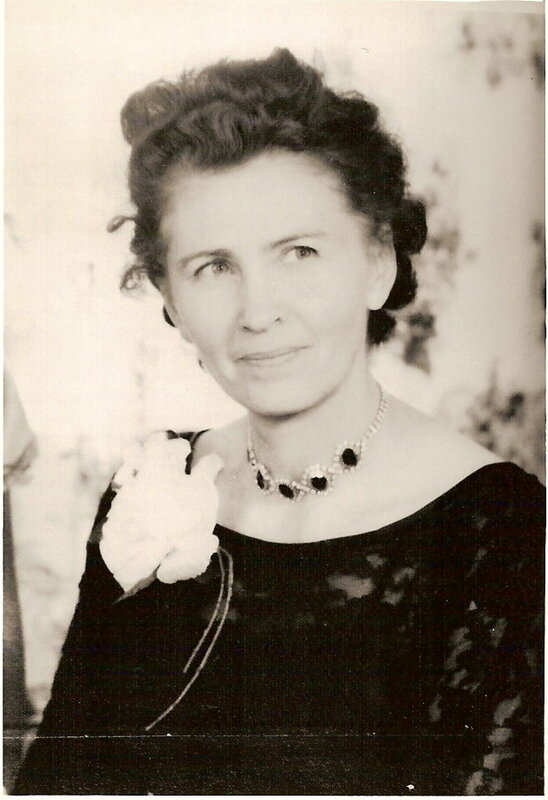 She was a third parent to me, could command a room like no one else in my entire family, lived through communism - losing every possession, was married 3 times - with both of her first two husbands killed, lost children, and immigrated to Canada with a young daughter and new husband - who she had two children with, and began a new life for all of us here. As my family sat around her during her last moments we all agreed the best word to describe her was "strong". If I write too much, I become a mess about what she meant to me. I know it's more and more becoming that time in the lives of the friend's I have in my age range, that time where our Grandparents age rapidly, and pass away. It's hard. "Mutti" never fully met the Accordion Girl, but she's in my thoughts when I perform. We had one of those "visits in my dreams-I can sometimes smell her perfume-hear her voice in my ear" kind of relationships.